Founded in May, 2002 by curent owner/operators John Dunn and Lee Wilkinson, AVIVA Rentals, LLC provides affordable, pro-grade audio visual equipment rentals and professional AV tech services to businesses, organizations, churches, courtrooms, individuals and other audio visual equipment rental companies for conferences, conventions, meetings and events from convention centers to board rooms to backyards from New England to Florida. We help you to communicate, educate, entertain, perform and celebrate with a minimum of concern for the operation of AV equipment. Planning a conference, convention, expo, trade show or other event? Don't get boxed into a contract with a venue that includes exorbitant rates for AV equipment and AV tech services. You do not have to pay pricey "in-house" venue rates for AV services. Do not sign a contract with a venue until you talk with AVIVA Rental Systems. AVIVA provides comprehensive audio visual production services management with affordable, pro-grade audio visual equipment and professional AV tech services to conferences and conventions throughout Virginia and the mid-Atlantic. With just one extra phone call, AVIVA Rental Systems can offer substantial savings for AV equipment rentals and professional AV tech services. At AVIVA Rental Systems, we love e-mail. We find it the best way for you to initiate your contact with AVIVA Rentals, specifically, if you are inquiring about AV rentals and tech services for group events, meetings or conferences. and as much specificity about the technical requirements for your AV equipment rental or computer rental, as possible. AVIVA Rental Systems is also an authorized dealer for Da-Lite presentation products, EIKI projectors, Gator AV cases and Milos Structural Systems. While we are based in Richmond, VA, we can assist anyone, anywhere with their AV purchasing needs. AVIVA Rental Systems can assist you with all your projection screen and presentation product purchases. Whether you need electric screens, manual, wall mounted or ceiling screens, portable and tripod screens, fixed-frame screens, rear projection screens, fast-fold portable screens, carts and stands, mounting systems, support furniture, or lecterns (a great selection of lecterns!) and equipment rack carts, AVIVA is your source for all your presentation product purchases! AVIVA can assist you make the proper projector purchases for your office or facility. Do not buy a projector from Office Max or Staples until you call AVIVA Rental Systems. Is your projector or microphone or laptop lost, stolen or broken? AVIVA can ship laptops, wireless microphone systems, projectors (up to 3000 lumens) and video cameras OVERNIGHT to anywhere in the continental United States. The scope of AVIVA Rentals' services are not limited to renting pro-grade audio visual equipment and computer and office technology. Our professional AV tech staff has an extensive knowledge base of event planning. We can help the novice to the most experienced meeting planner with making their upcoming event a success. AVIVA Rentals' sales team will be there with you from the planning stages to the completion of your event. Let AVIVA guide you through the event planning process to ensure a successful and productive function or event. 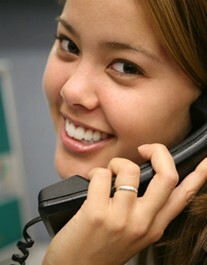 AVIVA is also in the business of providing smiles and not just for businesses and organizations. Some of the most popular applications for our equipment includes movie nights, video game tournaments, open houses, dances, sporting events, proms, weddings, anniversaries and reunions. Take your function or next event to the "smile level" with AV equipment and tech services from AVIVA Rentals. AVIVA Rental Systems will deliver and setup the rented equipment for any event. We will have everything set and tested well before your event is scheduled to begin. Our staff is familiar with conference centers and hotels and how they operate. We will accommodate any reasonable request for setup and delivery for any of your functions. AVIVA Rental Systems, LLC is listed on Party Blast, the premier online directory for hiring professional party services.